Major Tim Peake has made history, becoming the first ever Briton to make a spacewalk from the International Space Station (ISS). The 43-year-old astronaut will spend 6 1/2 hours orbiting the Earth at nearly 8km per second to fix a broken repair unit. The spacewalk began at just before 13:00 GMT. A live feed of the event streamed on the NASA YouTube channel shows the astronaut’s leap into space. Peake was pictured earlier Friday preparing for the mission with his American colleague, Colonel Tim Kopra, by arranging his tools and stepping into the airlock. Peake is working to fix a broken power unit, while another astronaut will be fitting a valve on a different part of the space station. Peake also has to run nearly 30 meters of cables across the structure. The unit is known as a Sequential Shunt Unit and stopped working on November 13 last year, causing one of the eight power channels on the station to fail. The astronaut left Earth on a Russian rocket on December 15 and will remain aboard the ISS for six months. For his fellow astronaut Kopra, this is the second spacewalk in under three weeks. Prior to his own mission, Peak supported a spacewalk when Kopra and station commander Scott Kelly installed equipment onto the outside of the ISS. 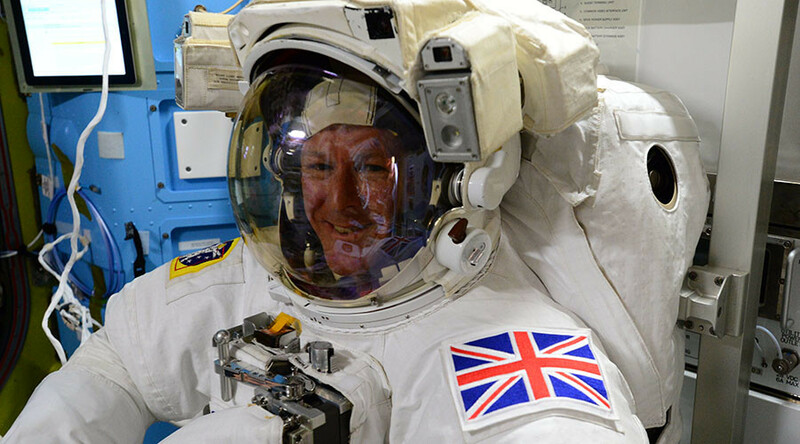 Brits took to Twitter to congratulate the astronaut on his historic walk, wishing him luck and support.